Mid adult Hispanic pediatrician talks with an adorable baby boy. The doctor is volunteering at a free community medical clinic. As a pediatrician for Effingham Health System, and a new mother with deep roots in this community, I am excited to introduce this column—Healthy Children, Happy Parents. This monthly column will address questions and concerns parents (and grandparents) have about their child’s pediatric healthcare. One of the big questions I hear from parents is, “What is a well-child visit and why is it important?” The American Academy of Pediatrics publishes “Bright Futures” guidelines that are evidence-based recommendations for preventative pediatric healthcare. As a pediatrician, implementing these guidelines ensures that I am providing the most up to date healthcare for our patients. The well-child visit is the one of the cornerstones for ensuring your child is getting the best and most comprehensive healthcare. Well-child visits (or well checks) ensure that you are forming a close relationship with your child’s Pediatrician. You want someone who knows your child so when they are sick they will know their baseline and be familiar with their medical history. During well checks we screen for health conditions that may not be obvious to the parent. Examples would include a heart murmur (which is an abnormal sound the heart makes when there is a potential problem or defect), scoliosis (abnormal curvature of the spine), and developmental delays (these can be speech, motor, or social). Early detection of these conditions will allow me as your Pediatrician the opportunity to intervene early and provide your child the appropriate care they need. As pediatricians, we see children from birth to age 21. Well checks begin within days of your newborn being discharged from the hospital. You will see your pediatrician a lot during the first year of their life. Infancy is a time when your child is growing and changing rapidly, therefore frequent visits are necessary. The importance includes monitoring growth and development and providing the recommended immunizations. Well child visits and vaccines are almost always covered by insurance and/or state funded programs. As your child grows, well checks continue annually. These visits include screenings for hearing and vision, anemia, lead exposure, and high cholesterol. When you child reaches the age of 11 they are entering early adolescence and well child visits are just as important. At this age they will receive immunizations that they are required to have for school attendance. I see a decline in the number of well checks after the age of 12. I encourage parents and adolescents to recognize the importance of well checks at this age because it is still important to screen for changes in puberty and for risk taking behaviors that would include depression, drug use, eating disorders, and sexual activity. 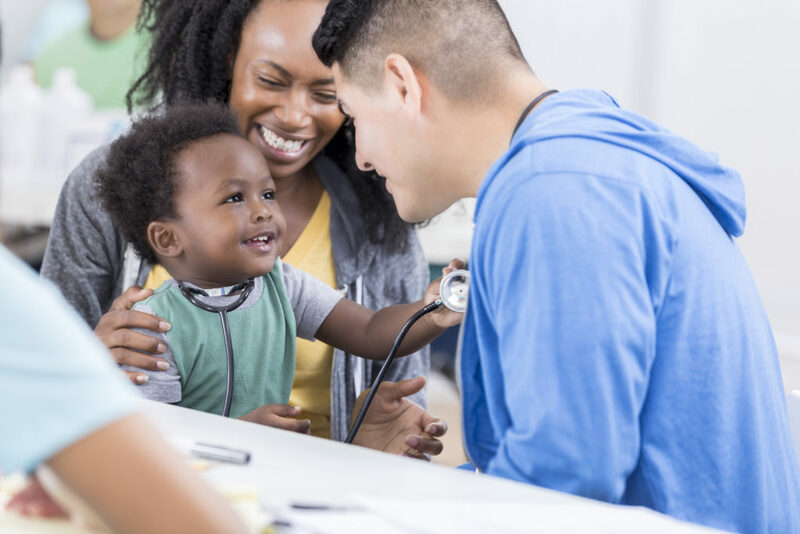 The interaction between you, your child, and your pediatrician is a dynamic relationship that is best cultivated by regular well checks that start at birth and continue until your child transitions into adulthood.